This print-only review from BCCB just made it’s digital way to me this morning. Couldn’t be more proud of the Francesca Lia Block comparison! Yesterday, In Bed With Books debuted the awesome book trailer my friend Matt Lawrence made for White Lines. If you comment on the video post over there, you have a shot of winning two signed hardcover copies of the book. Giveaways aside, if you’re in need of a bit of New Order today–or have never heard The Flaming Lips amazing Borderline cover, you should really check it out. And there are plenty of great photos of 1980s New York in the video, including photos of a few of the real-life Club Kids that inspired characters in the book. Can you guess who is who? 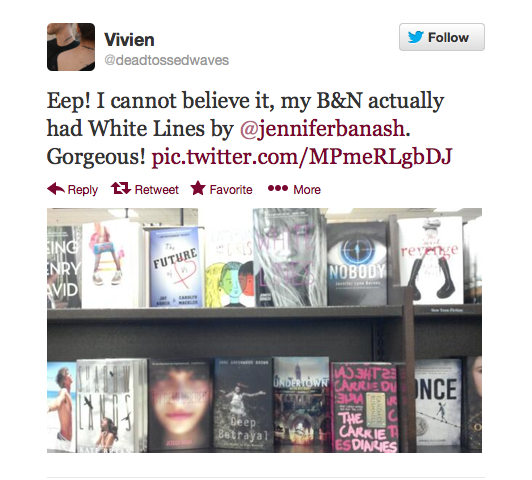 The lovely Vivien posted this photo to Twitter of White Lines on the shelf at B&N!!!! This is my first hardcover, even though it’s my fourth YA novel I’ve written, and I’m just so totally proud of it. Doesn’t it look gorgeous on the shelf? And Vivien, you’ve won a signed hardcover! Email me your addy and I’ll get it right out to you! Sigining at the LA Times Festival of Books! Your Book Came Out Today??? Say Whaaaaaaat? Well, it felt like this day would never arrive since it’s been over three years since I finished the first draft of WHITE LINES, but it has finally arrived! WHITE LINES hits shelves today, and I couldn’t be prouder or more excited. Anyone who has read my previous novels knows that WL is a real departure for me, in more ways than one, and I’m thrilled to finally be able to tell the kinds of stories I had in mind all along. As you can see from the above pic, even Story is beyond excited! And she can’t even read yet! The Winners of the 2 Hardcovers of WHITE LINES are . . .
Apple Chooses WHITE LINES as a Book of the Month! Exciting news! 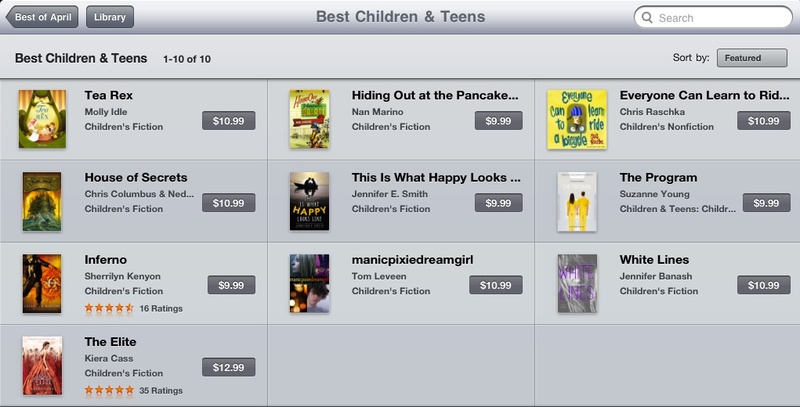 WHITE LINES has been chosen by Apple as one of their YA books of the month! There’s a cool banner on the iTunes homepage and everything! WOOT!!!! I’ve also recently gotten some love from bloggers–specifically Jenna over at Making the Grade, and Marie at Ramblings of a Daydreamer, and Beckie at Bittersweet Enchantment, who all gave WHITE LINES glowing reviews! Thank you, ladies for your unabashed support. It means everything to me! 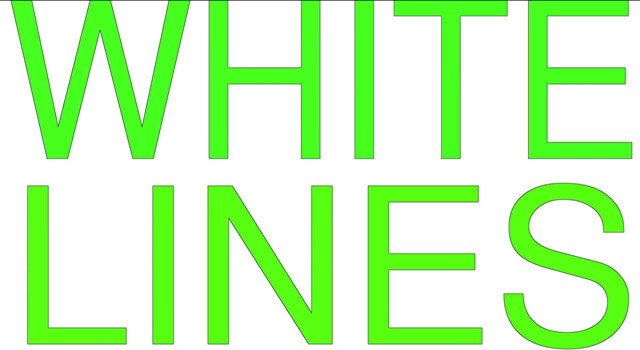 If you’ve written a review of WHITE LINES recently, please send it on to me! 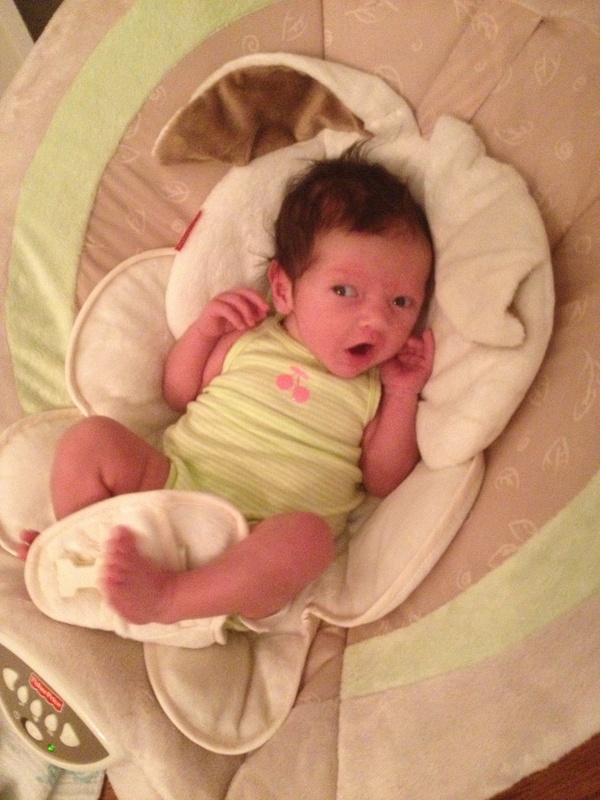 With a 2-week-old baby at home, I’m not as on top of things as I would like, and I love to know what people are saying! WHITE LINES is Almost Here and BABY! So there are only three days left before WHITE LINES will be unleashed on the world, and a lot has happened since I’ve written last. FYI, pregnancy is NOT the time to start new projects, although I did manage to get a draft finished of SILENT ALARM, my next book–but not without a lot of falling asleep at my computer and general tired-crankyness. The big news is that on March 12th, 2013, a whole week early, Story Celestina Furey Blackmore made her way into the world after a three-day labor (Yes, it truly sucked if you’re wondering), at 6 lbs 12 oz. 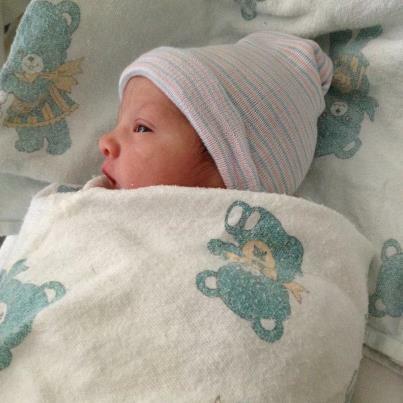 She’s a gorgeous little muffin with bright blue eyes, and I couldn’t be more thrilled to have her here! So my days are pretty glamorous now as I drift from room to room covered in spit up, frantically trying to, oh, let’s see, take a SHOWER or change my CLOTHES before she wakes up again! So lots of spare time abounds 🙂 And wouldn’t you know it, this is my release week! It feels like I’ve been waiting FOREVER for April 4th to finally arrive, and now it’s almost HERE! Two babies in the past six weeks! I am a lucky, lucky girl . . . So, in honor of the release date looming, let’s give away some books, OK? Good! To win one of TWO hardcover copies of WHITE LINES (yes, the pretty finished books! ), comment on this post and let me know which 80’s fashion trend you hope NEVER rears it’s ugly head again, OR which 80’s fashion trend you PRAY will make a comeback! For an EXTRA chance to win, include a photo! US ONLY. And speaking of photos, here’s one of my own: my gorgeous new baby, Story. Congrats, ladies! you’ve both won hard-to-get ARCS of WHITE LINES! Email me with your addy’s and Ii’ll get them right out to you! A Little Something I’ve Been Working On . . .
It’s been, like, forever, hasn’t it? Well, at least it felt that way to me. I know that I haven’t exactly been keeping up with this blog, and that Flashback Fridays went out the proverbial window for almost 6 weeks (gulp), but I have a really good reason! I’m having a baby! And it’s a girl! WOOT! 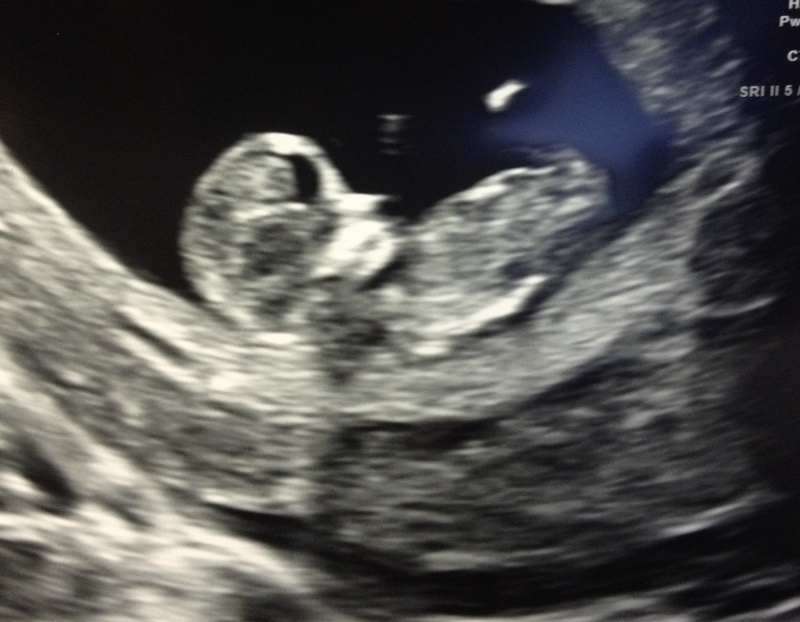 Due March, 18th! I bet you guys thought I was going to say that I’d finally finished SILENT ALARM, my new novel, but no such luck on that front, still pecking away . . . Hoping to be finished in the next 6 weeks or so, but I’ve been a little distracted with first, what may have been the worst case of morning sickness of all time (I kid you not–I lived on ice pops and crackers for 3.5 months), and now with general exhaustion and baby-tiredness. I know I’ve flaked on Flashback Fridays for a while now, and I want to make it up to you! This MONDAY, October 15th, I will give away TWO copies of WHITE LINES to the commenters who come up with the best baby girl names for my unborn sprout! Just leave your comment on this thread! Enter as many times as you like, and I WILL ship internationally too! WHAT DO YOU HAVE TO LOSE??????? Two people will win hard-to-get ARCS of WHITE LINES–will one of them be you?